Since the original thread on Sketch Cover insane prices was deleted because of the silly CGC rule (since I never have slabbed I didn't realize who was the company who graded it). That has nothing to do with the thread, I just happen to have a pic showing a rival company. Just stupid. I decided to restart the thread to continue talking about the Sketch covers. As I stated in my last post, never saw any responses because it got locked down. I talked with a number of artists who don't like the stock used on Sketch Covers, it effect their drawing. They will charge more to do Sketch Covers over a similar drawing on regular paper/Bristol. I am collecting Comic art for over 20 years and I have ZERO interest in sketch covers. As I’ve said before, I only have 2 or 3 sketch covers and paper stock varies from just right to impractical for inked drawings. I’m not paying over a grand for any sketch cover unless Frazetta drew it. Not knocking anyone who would. If you have the funds and it feels good, do it! Here’s one of mine, relatively inexpensive. As I mentioned in the original thread, I've started getting sketch covers. I came to the sketch cover "party" late. I think the main appeal to sketch covers is the ability to collect art and being able to store them with your comics. No need to buy Itoyas. 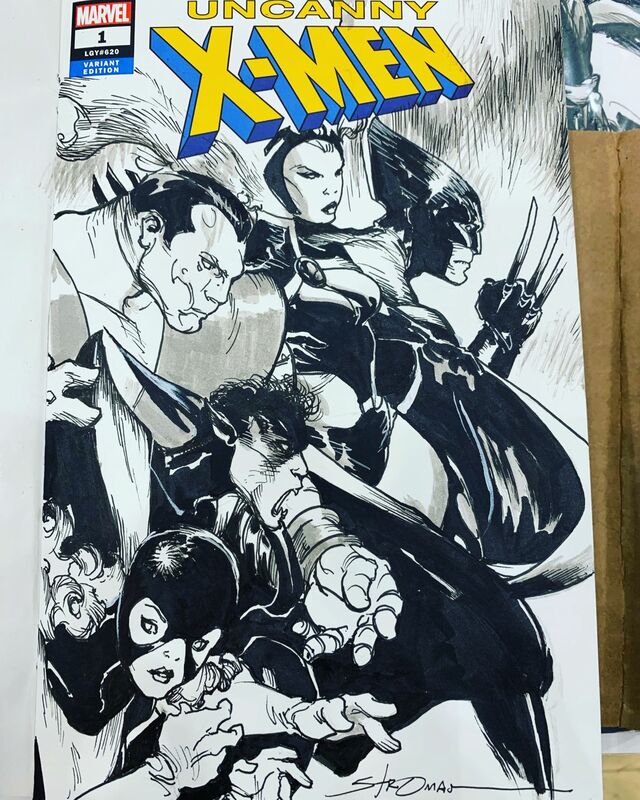 I've been getting a couple sketch covers with a certain concept, nothing posted, yet. I'm not getting them slabbed. I get blank sketch covers for some titles/characters I wouldn't usually get. It keeps things interesting. I've heard the paperstock for sketch covers is better than it used to be. FWIW, I got a couple Betty & Veronica 1 sketch covers with inked art and a little watercolor. There are plenty of artists that love the $ that sketch cover commissions bring in. I hear you can even commission someone to draw superheroes wearing an iPod, if that's your thing. Sketch covers are here to stay. Not for everyone but art comes in all forms and different price points. I think it gives people a feeling of a custom comic. 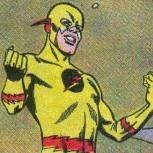 It merges collecting slabbed comics with OA. I see the appeal up to a point but the prices seem crazy high at times--perhaps part of that is for a rarer edition of the comic? 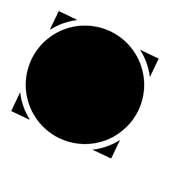 But it seems that if you took the drawing and had gotten it as a straight commission of the same size instead that it would in most instances cost a lot less. 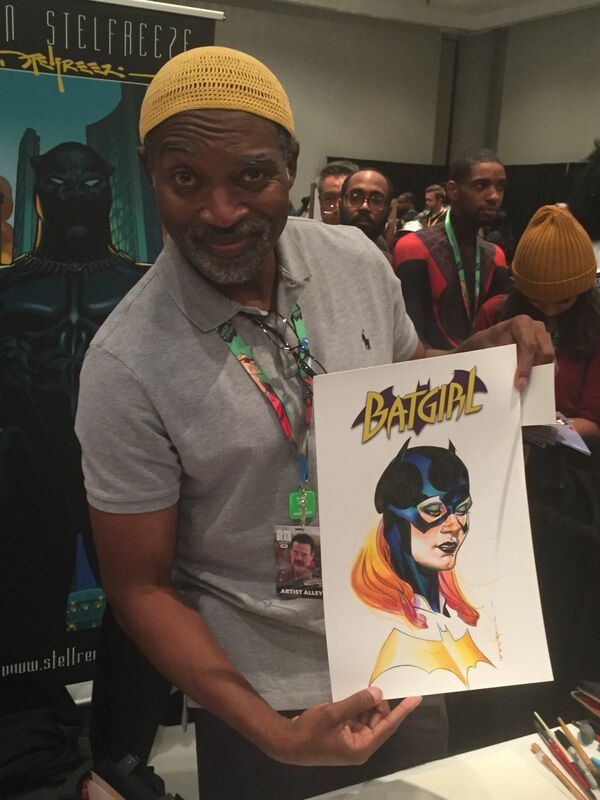 Maybe an exception is Frank Cho--does he charge $1k-$2k for a comic book sized commission? 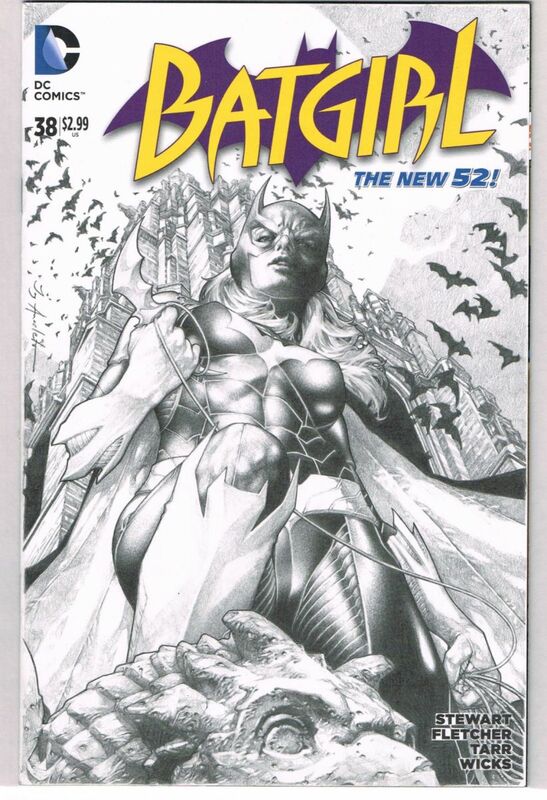 Frank Cho did at least one that his agent (Steve Morger @Steve Morger ) put on ebay. That one was with the Black Panther, Storm and another... panther. It went well over $1000, if I recall. Wasn't even slabbed. Frank won’t do a sketch cover commission unless a show is dead (and then only maybe) since he likes to think of a gag with them. There is huge demand for sketch cover commissions. Huge. Sometimes the paper is hit and miss, and I personally prefer doing at home pre show commissions anyway. But I agree with a previous post--this is a part of the hobby that is not going away. Fans/collectors get really fired up about them and I think it's great for the art hobby. Anything that fans the fires of passion when it comes to OA is fantastic IMHO. 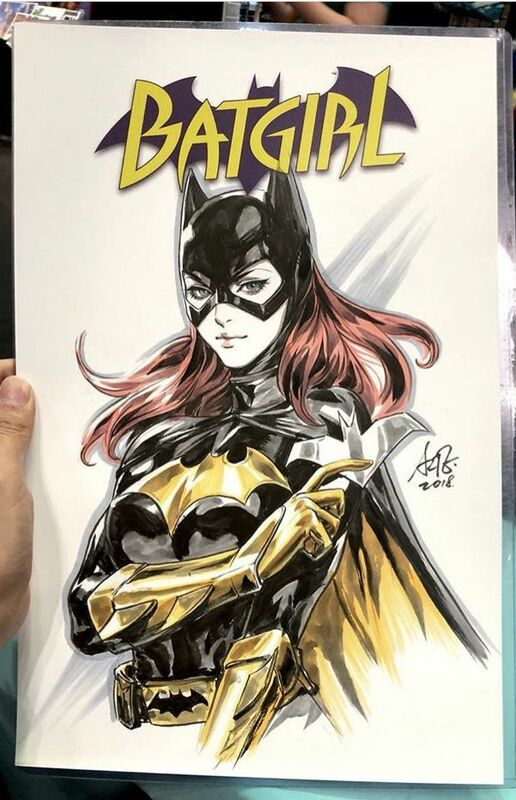 Frank Cho semi-regularly does sketch covers that are on sale on eBay - he has several themes (one being the big butts of women like MJ or Wonder Woman) and they all sell in excess of $1k. I like the sketch cover idea but dislike the size and paper issues. So I had logos printed on good quality Bristol board and have commissions drawn on them. Best of both worlds. This is one of the few sketch covers in my collection. Wasn’t cheap but it’s an amazing piece of art. I have it framed on my wall. By Jay Anacleto. Any responses from the artists about it? Do they like the stock better than most sketch covers? They love the paper and the idea! All positive feedback. I'm wondering if it is it's own little subset or culture, as the pricing doesn't make sense to me. I collect Valentino art so I'll use him as an example. I saw a collector try to sell a single figure bust on a comic book (encapsulated) for like $600. Now, the high grade comic, the plastic, the yellow signature label all really have no worth. The worth is in the sketch- which I know sketches of that kind were going for about $50 at that time. Full cover quality 11 x 17 (pencils only) were going for $300. Now, time had passed (a few years) since the sketch was done, and Valentino's prices went up- but the full 11 x 17 commission still cost less than that sketch cover the guy tried to sell. I had asked the seller about his pricing, explained the commission pricing scale, and he assured me that at least in his mind that the $600 was the value. If people want to spend that, it's their $, I don't care- I'm just curious if they realize they can get way more bang for their buck. There was another guy on ebay trying (key word there) to sell a front and back cover Valentino sketch comic for like 10K, which is of course insane as you can buy his published covers for well under that. Sketch cards also seem like another animal with their own collectors. 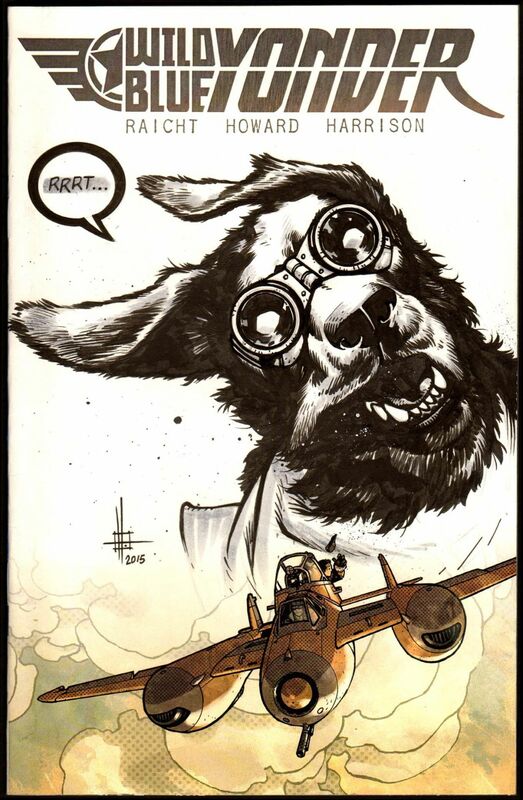 There is an artist I use for commissions- I will see random sketch cards of his on ebay for like $600 easily, which is insane (not that they sell)- I get extremelty detailed 11 x 17 commissions (pencils and inks, as many characters as I want) directly from him for a mere fraction of that. I think the price is what someone wants to pay so I won’t get into that ... but on sketch covers I think they are a sort of crossover for the comic/Cgc collector getting into art. Like someone above said they can be stored with your books and people can get there coveted grades. I have a couple I actually picked this one up today from Larry Stroman. Personally I like them better when they are more intricate like a real personalized cover rather then the head shots or busts that are most popular: if you are only doing a head shot- have it remarked on an actual cover when getting signed. How did you get the logo's like that? I'm glad to see artists getting paid so boom on sketch cover market! That said, I find them awkward. They don't go into an portfolio gracefully due to the weight and putting them in a box means you can't see it. They just doesn't work for me. As a matter of full disclosure, I do have two: One was a purchase from The Hero Initiative and the other came in a VIP bag at Amazing Houston Comic Con. 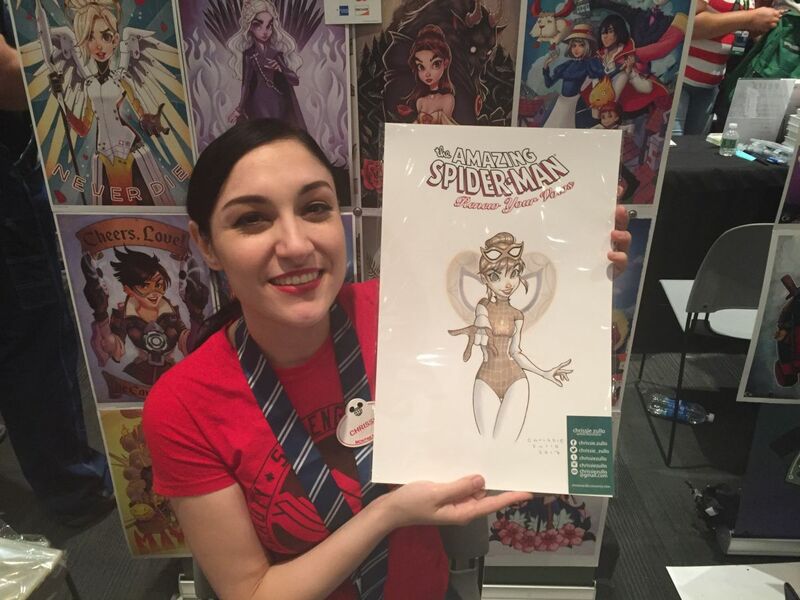 Amber Atoms by Kelley Yates from The Hero Initiative. Neither is slabbed. I don't own a single slabbed comic and it will probably stay that way. I also have an Ah, Yeah Comics blank that I might have Art Baltazar draw on one day, but I'm not convinced that I will. I'm really baffled by the blank, really blank sketch comics. For example, Superman Blank, Batman Blank and Wonder Woman Blank. The covers are blank except for the logo and price. The insides (10 pages) of WW Blank are totally blank. The interior pages seem to be have a smooth finish. The covers are more on the vellum side. They might as well make @AnkurJ 's idea official and publish Bristol boards with logos. I have to admit, I've got 1 each of Supes and Batman. And 2 of WW.